Welcome to enjoy a shopping spree at more than 300 shops spread across two large shopping centres as well as three shopping district that are open seven days a week. 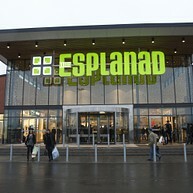 In the middle of Skövde you find the biggest shopping center in the area. It has 45 stores under the same roof. 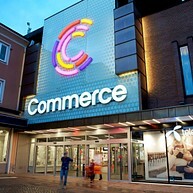 At Commerce you find the most trendy retail chains, Systembolaget (the liquor store), restaurants and much more. Parkinglots: 500. Opening hours: weekdays 10-19, Saturdays 10-17, Sundays 12-17. 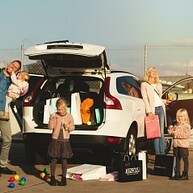 Five minutes by car from the city center you find Stallsiken shopping area with focus on home & leisure time. There is a big free parking lot and good bus communications. At Stallsiken you find 20 different operators; the big retail chains together with small unique local shops. Opening hours: weekdays 10-19*, Saturdays 10-17, Sundays 10-17. *Biltema opens 07.00 in weekdays. The cozy city core offers you the biggest variation with more than a hundred stores. You will also find a great range of cafés, restaurants and culture- and entertainment venues.